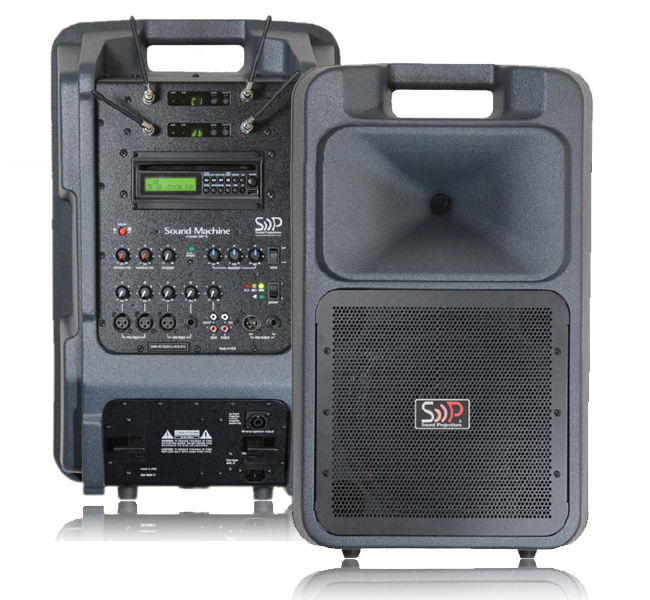 • At 32 pounds (35 with options), the SM-5 delivers 200 watts, 127dB SPL and 4-8 hours of operating time. 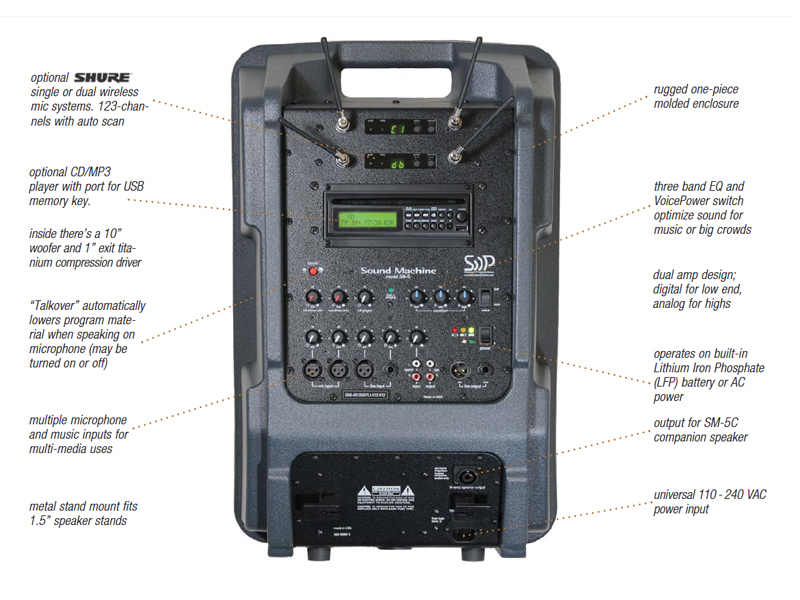 • Optional CD/MP3 player with USB port, and up to two auto-scan wireless microphones. • Lithium Iron Phosphate (LFP) battery improve efficiency, reduce overall weight and extend operating time. • ‘Talkover’ feature automatically lowers program material when speaking on microphone, ideal for short announcements and multi-media presentations. • Operates up to a full day on the internal battery, or plug it in for continuous use. • Best warranty in the industry; 6 years on the system, 3 years on the LFP battery.